We hope you are enjoying the site in dedication of Salvador Sanchez and want to thank you for all your love and support. You too can be a part of this great icon’s history by offering a collectible for sale to add to this ever expanding collection that will soon become a museum for the world to admire and experience how great of a champion he was inside and out of the ring. 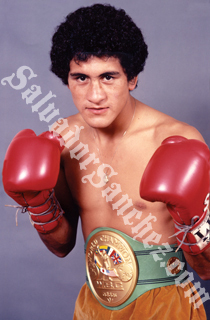 Send your name and email address to officialsalsanchez@gmail.com to sign up for the Salvador Sanchez newsletter.